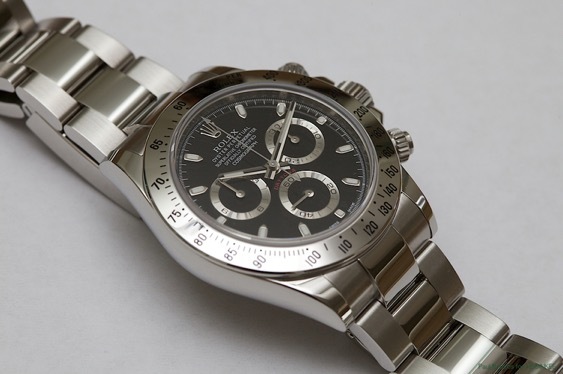 ROLEX Daytona… Should we go for the ceramic bezel version or move on with the good old stainless steel bezel one..? It was one of the most talked about topics of the watch world.. Some thought that it would never happen while others believed it would definitely happen.. And, it happened.. The year 2016 is marked as the year that the most iconic sports chronograph of all times ROLEX Daytona was introduced with a ceramic bezel for the first time..
OK, what happens next..? Should we sell our beloved stainless steel bezel Daytona or appreciate them more than ever..? Obviously, it is not possible to tell the future however, we may still have an idea about the future of the stainless steel Daytona by reviewing the model’s past and present. 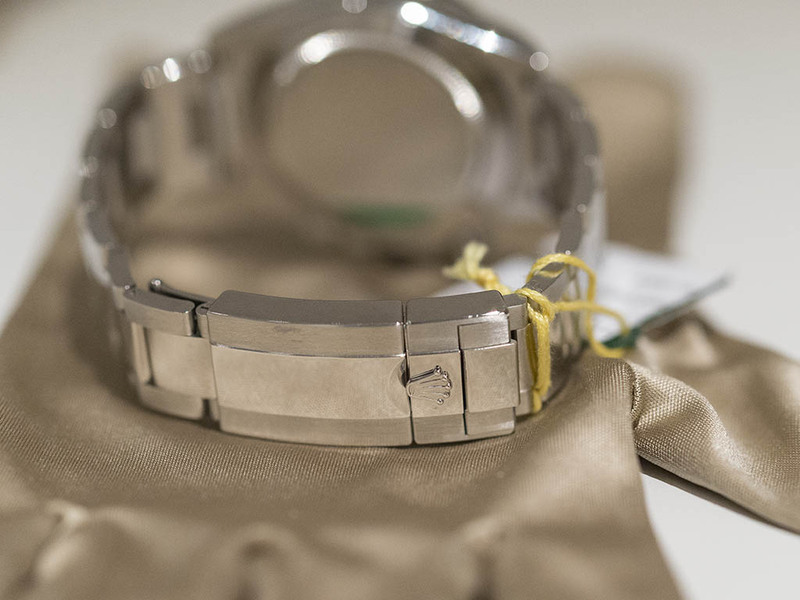 Not only in watch industry but almost in every commercial environment, the price of a product is set upon the results of the supply and demand equation. Same goes for the stainless steel Daytona as well. Anyone who is interested in mechanical watches slightly more than the average watch guy has something to tell about the story of the stainless steel Daytona. For the ones who don’t know anything about that but wants to change that, we strongly recommend them to read our Doruk ÇELEBİ’s article about Daytona. 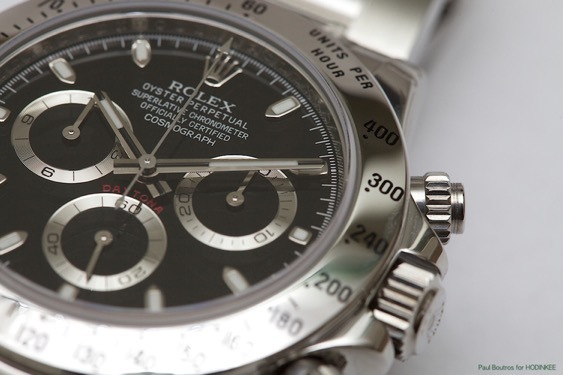 ROLEX Daytona had a major upgrade in 2000 and got a brand new, in-house movement to replace the old Zenith based one. In 2004 the hour and minute hand got fatter to provide a better legibility over the chronograph lay out dial. 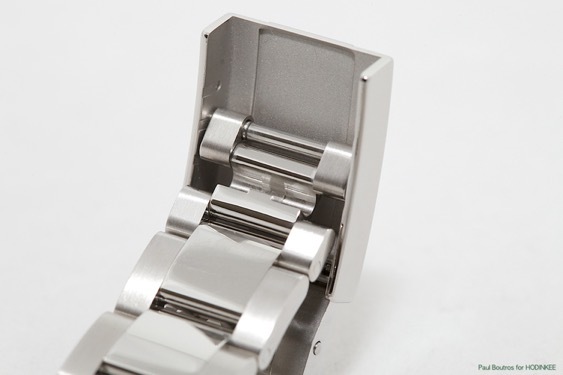 Finally the old folding clasp mechanism got replaced with the newer and fully machined version in 2006 along with the inner engraved bezel with ROLEX.ROLEX pattern. It has been a decade since the ROLEX Daytona got its last upgrade and now we see that the stainless steel version is being totally discontinued in favor of the recently released ceramic bezel one introducing us to an awaiting period. Of course, we all wonder the same; what happens now..? Well, everyone has his own assumptions and theories as this is obviously an open-ended topic. Frankly speaking, it has been a very long time since I found myself thinking about a novelty from the industry with such excitement and curiosity. Therefore, I strongly believe that it’s a situation that we all should enjoy. I think we should better be starting to look for the answers to the question ‘’ what happens now..? 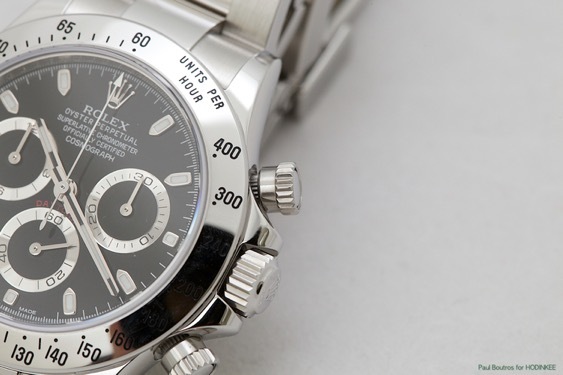 ‘’ by looking at the past of the stainless steel ROLEX Daytona. I am sure you already heard about the clients walking in to the ROLEX dealers to get a stainless steel Daytona but end up by being added to the 2 years waiting lists. 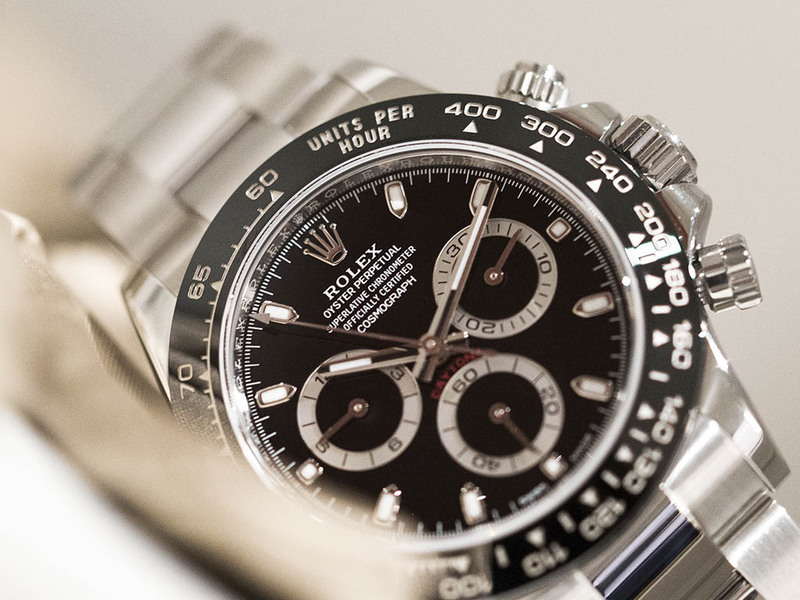 Stainless steel Daytona has been an urban legend for decades as it has never been seen in a retailer’s window or never been bought at the first attempt. The proud owners has always been bragged about their watches and considered themselves as the ‘’ fortunate ones ‘’. The gray market prices have been higher than the MSRPs and the used ones have been sold for top figures occasionally beating the brand new price. The black dial version has been the most wanted one in many cases making it even harder to find. Well, that was all about the supply and demand reality. Whether we call it a ‘’ marketing trick ‘’ by Rolex or something else, the truth remains the same; stainless steel Daytona was a rare timepiece. 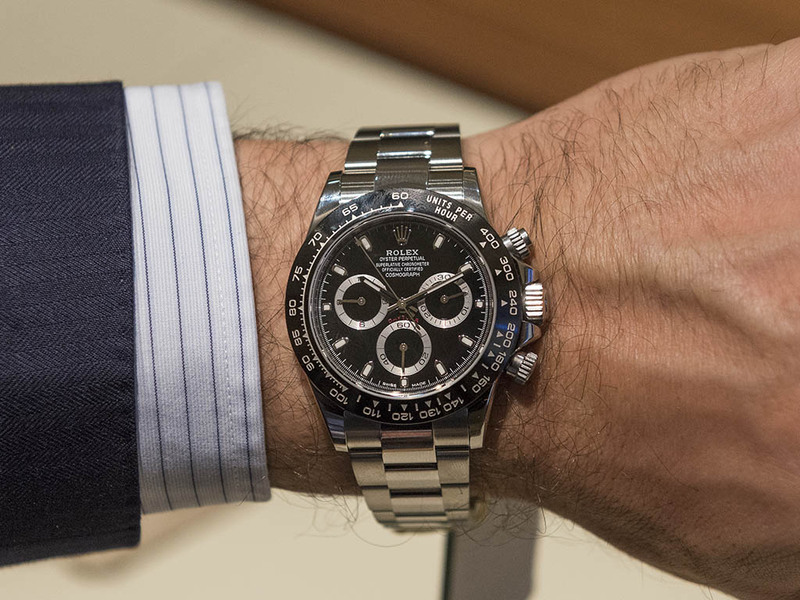 After that short introduction ( and considering the discontinuation ), it is not hard to get to the fact that the demand for the steel bezel Daytona will rise eventually. My personal expectation is that the model will soon to be appreciated in price. In fact, ‘’ all stickers in-tact ‘’ condition samples will even appreciate drastically in a short time compared to today’s price figures. Think about it, would you sell your ‘’ officially discontinued ROLEX Daytona ‘’ which you waited two years to get and paid more than MSRP..? Most possibly you would not. I am sure there will be other to say yes to that question but again most possibly expecting a 20-30% more than what they actually paid for. Therefore, our first answer to the question of ‘’ what happens now..? ‘’ is that the prices for stainless steel bezels will go higher and the watch will get more difficult to find. I suggest you to keep your stainless steel bezel Daytonas and be patient for your next move. You may also try to get a decent sample if you can and put it in to your safe. Let’s get to the ceramic bezel Daytonas now. I had the chance to have a chat with one of the major Rolex dealers after the day that 116500 LN was presented. He told me that he already got orders for 150 pieces and that would be his store’s ration for the next ten years considering 15 pieces of stainless steel Daytonas per year..! As we laughed together, we agreed that we hadn’t seen such a demand for a specific watch for a long time. I talked to some other Rolex dealers and retailers and they all ended up telling similar news. I might say that ( unlike the stainless steel models ), the white dial version seems more popular than the black dial one. 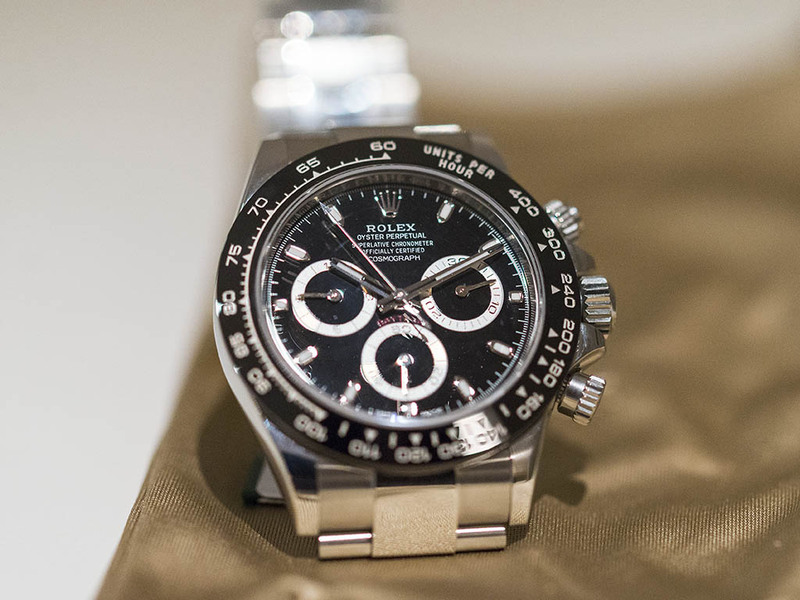 As it seems, the new ceramic bezel stainless steel ROLEX Daytonas will start to meet their proud owners by June. While we expect a number of 116500LNs to be sold within the year we know that the buyers will not only be the collectors or end users. There will be some traders who will eventually offer those watches with price tags higher than the MSRPs. 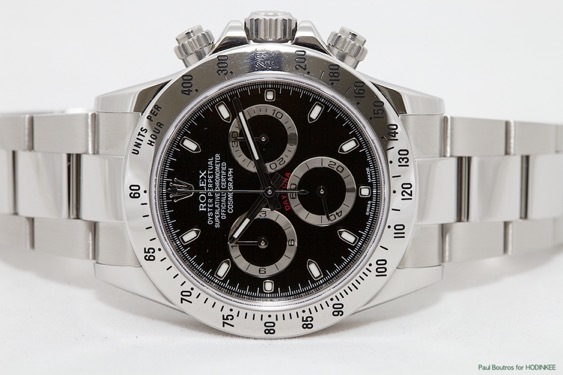 The 116500LN will be retailed roughly for 12000 EURs at the stores but, those re-sellers will probably ask for a 15-16000 EUR range at the gray market providing a faster way for the ones who are willing to get the new Daytona A.S.A.P. In fact, the result for that approach depends on the watch aficionados’ reaction. Are we going to wait for the good news from the retailer or tempted by the ‘’ unbearable joy of having the new stainless steel Daytona without waiting ‘’ ..?